You and everyone else better watch your backs in the neighborhood this Halloween. We hear there's going to be extra cops on duty and they’re not giving out citations, no, they’re giving out something much scarier. 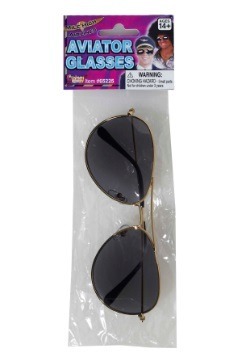 They’re equipped with extra sass in order to give out plenty of sassy comments to everyone they meet. They may not lock you up but they won’t have a problem telling you what’s what. 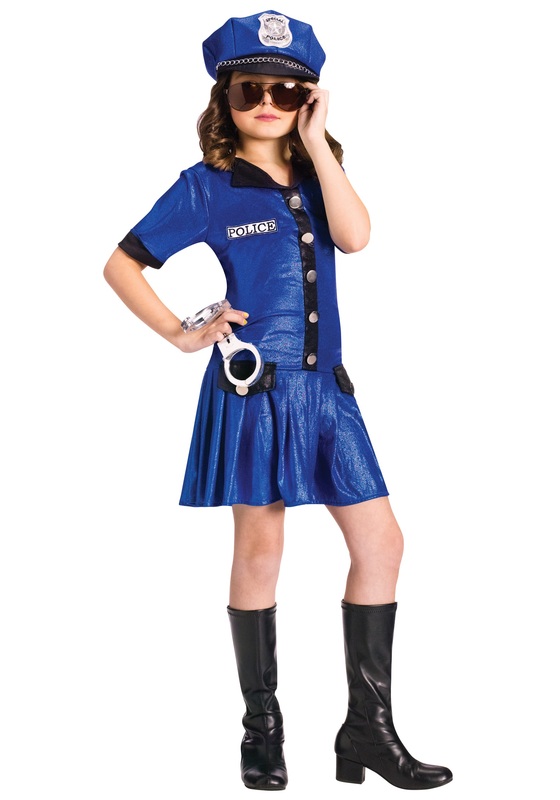 Help your little girl join the force with this Sassy Police Officer Costume. She doesn’t make the rules she just enforces them in the sassiest way possible. She may not throw the book at you but she’ll throw plenty of sassy remarks your way. Just be sure to stay in line and you’ll be clear of her line of fire. When she starts shooting off those sassy comments, there’s no telling where she’ll aim! This blue dress is made up of a polyester and spandex blend. It is designed with a black trim at the sleeve cuffs as well as the collar and down the decorative line of buttons. The pocket flaps are also black with an ornamental button. 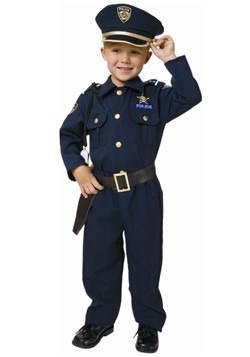 A white patch on the right of the torso has a blue lining and reads ‘POLICE’ in blue. 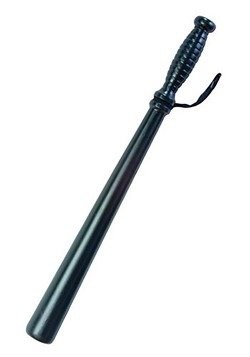 The matching police cap has a silver colored badge, a black brim, and a decorative gold colored chain. 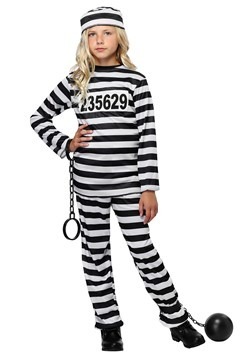 The sass police are on patrol this Halloween and your kiddo is leading them in this Sassy Police Officer Costume! Remember just because you’ve known her all her life doesn’t mean you’ll get off easy. She’s not afraid to do the ole good cop/sassy cop routine.